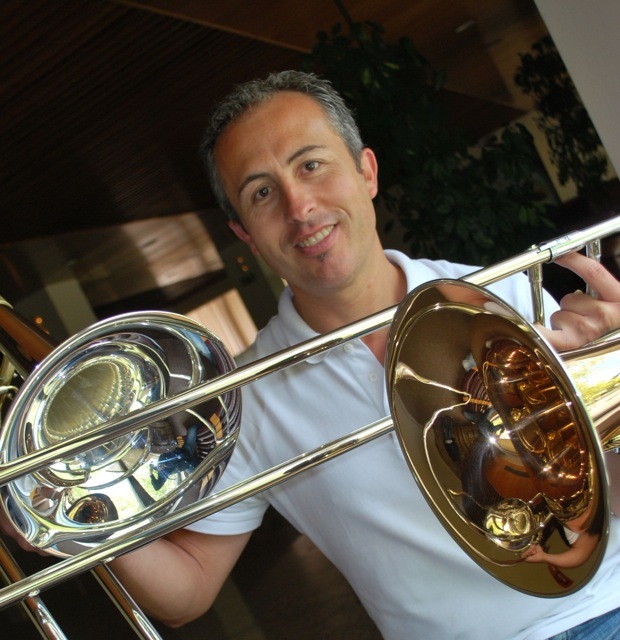 Bass trombone of the National Orchestra of Spain since 2000, he began his studies in his hometown, Biar (Alicante). He obtained a Degree with Honours at the Conservatorio Superior de Música de Madrid, where he studied with Juan Bautista Abad, and completed his training with Enrique Ferrando, Rogelio Igualada, Don Harvood and Ben Van Dijk. He has played under prestigious batons as Gustavo Dudamel, Kent Nagano, Christoph Eschenbach, George Prêtre, Rafael Frühbeck de Burgos and David Afkham, among others. He plays a bass trombone Stomvi, model Titan.